In quick succession, four sponsors announced they were dumping the swimmer, who has since apologized and conceded that he embellished what happened during a now-infamous stop at a Rio gas station. Swimsuit company Speedo USA, clothing giant Ralph Lauren and skin-care firm Syneron-Candela issued statements less than three hours apart, all with the same message: Lochte is out. Before the day was done, Japanese mattress maker airweave followed suit, essentially wiping out Lochte's income away from the pool. In addition, Speedo USA said $50,000 that would've gone to the 12-time Olympic medalist was being donated to Save The Children to benefit needy youngsters in Brazil. "While we have enjoyed a winning relationship with Ryan for over a decade and he has been an important member of the Speedo team, we cannot condone behavior that is counter to the values this brand has long stood for," the prominent swimsuit company said. "We appreciate his many achievements and hope he moves forward and learns from this experience." Ralph Lauren, which provided the Polo-branded attire worn by the U.S. team at the opening and closing ceremonies, said it would not be renewing the contract that provided Lochte with financial support leading up to Rio. The statement from airweave said it had a similar arrangement with the swimmer. Both stressed they would continue their support of the U.S. Olympic and Paralympic teams. Syneron-Candela offers a line of skin-treatment products that deal with issues such as wrinkle reduction. "We hold our employees to high standards, and we expect the same of our business partners," the company said. Lochte issued a statement through his public relations firm thanking Speedo USA for its long support. He did not immediately address the other companies dropping their endorsements. "I respect Speedo's decision and am grateful for the opportunities that our partnership has afforded me over the years," Lochte said. 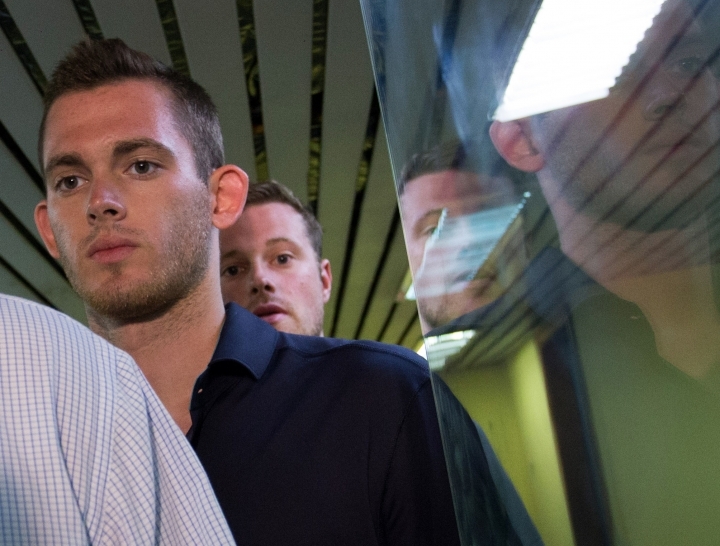 Initially, Lochte said he and three teammates — Jack Conger, Gunnar Bentz and Jimmy Feigen — were robbed after their taxi was pulled over by armed men posing as police just hours after the swimming competition ended in Rio de Janeiro. That version quickly unraveled when police said the swimmers, who had attended a late-night party, never reported the incident to authorities and there was scant evidence of a robbery. Video surveillance emerged showing the athletes getting into a confrontation with armed security guards over alleged vandalism at the gas station when their taxi pulled over to let them use the restroom. While there have been conflicting versions over whether the guards pulled their weapons on the swimmers, Lochte has since acknowledged he was highly intoxicated and that his behavior led to the confrontation, which resulted in the swimmers paying some $50 in U.S. and Brazilian currency before they were allowed to leave. The incident caused a furor in Rio, where street crime was a major issue heading into the games. Paul Swangard, managing director of the Warsaw Sports Marketing Center at the University of Oregon, said he wasn't surprised by the decision since most of Lochte's marketing value was tied to campaigns prior to the Olympics. "I would think it was an easy decision to cut ties now," Swangard said. 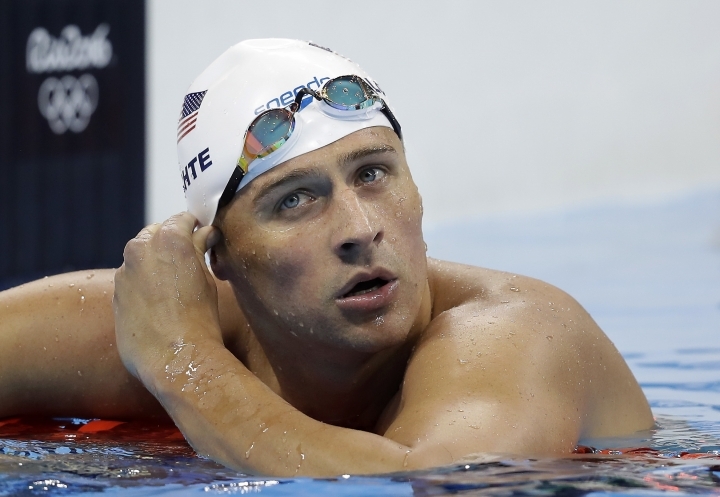 "For someone like Lochte, he's really destroyed almost all of his short-term marketability. Brands can easily seek out other athletes for the next Olympic cycle." The financial costs of losing Speedo and Ralph Lauren are likely to be only the first sanctions that await Lochte, whose antics tarnished a powerful showing by the American team and dominating news away from the stadiums and arenas in the final days of the Rio Games. In the last of three interviews with NBC that included ever-changing accounts of the incident, Lochte apologized and acknowledged he "over-exaggerated the story." He made a similar mea culpa to Brazil's main broadcaster, Globo. Long one of the most popular U.S. athletes, the laid-back swimmer is known for his trademark saying "Jeah!" and such antics as wearing diamond grillz on the medal stand and dying his hair a silvery color before the Rio Games. Lochte also starred in a short-lived reality television show after the 2012 Olympics. For these games, he qualified in only one individual event, finishing fifth in the 200-meter individual medley, far behind longtime rival Michael Phelps. 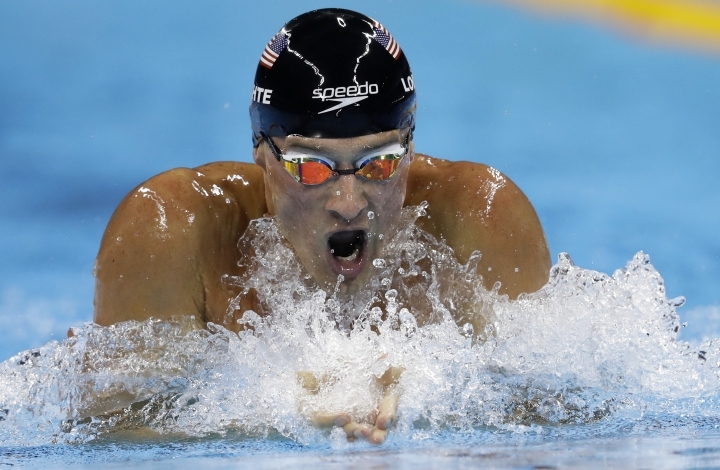 Lochte did help Phelps and the Americans win gold in the 4x200 freestyle relay. AP business writers Mae Anderson and Candice Choi in New York and editor Amy Finkelstein in Chicago contributed to this report.